– After running in the Top 10 for the first half of the race and also leading the field at one point, Spencer Pigot finished 20th after a drive-through penalty dropped him one lap behind the field. – When teammate Ed Carpenter made his first pit stop, teammate Spencer Pigot took the lead of the Indianapolis 500. Today’s race was just the second Verizon IndyCar Series that Pigot has led; the 24-year-old paced the field for three laps before making his first pit stop. Pigot did not fall out of the Top 10 once until after his third pit stop on Lap 94. A drive-through penalty for the No. 21 Preferred Freezer Services Chevrolet following a pit lane speed violation dropped Pigot all the way back to 27th, one lap behind the field. Each of the four cautions following his penalty did not fall in his favor; he was unable to regain his lap. However, Pigot would stay the course and make up seven positions by the end of the race to finish 20th. – Today’s Indianapolis 500 was Pigot’s third, though his first with Ed Carpenter Racing. As road and street course driver for ECR’s No. 20 in 2016 and 2017, he participated in those 500-mile races with opposing teams as Carpenter raced the No. 20 at Indianapolis. Pigot’s 6th starting position was the highest starting position of Pigot’s 27 Verizon IndyCar Series starts so far, besting a 9th-place start in the INDYCAR Grand Prix earlier this month. Pigot is in the midst of his first season as a full-time Verizon IndyCar Series driver. 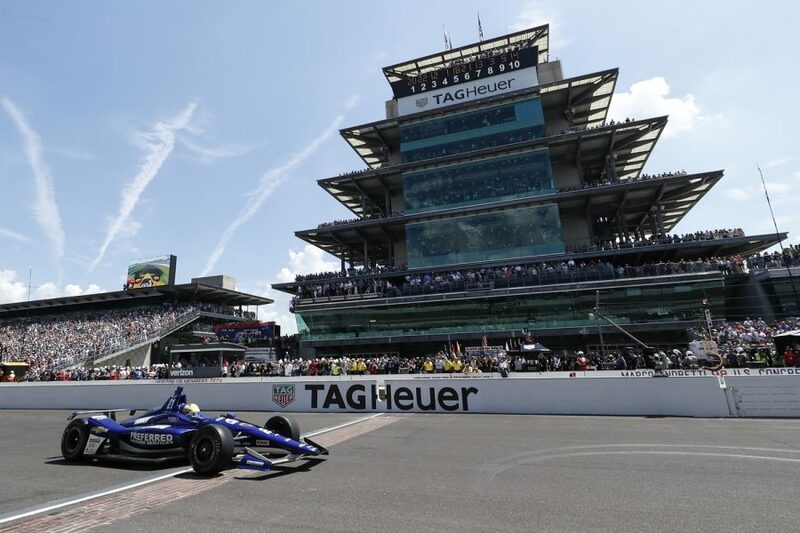 – Ed Carpenter Racing will return to work tomorrow to prepare cars for Chevrolet Detroit Grand Prix doubleheader with races on both Saturday, June 2 and Sunday, June 3. Pigot will be joined by teammate Jordan King, road and street course driver of the No. 20 Fuzzy’s Vodka Chevrolet. King most recently competed in the INDYCAR Grand Prix at the Indianapolis Motor Speedway, qualifying 5th for only his fourth Indy car race. Carpenter will get his next chance behind the wheel of the No. 20 at Texas Motor Speedway, less than two weeks from today on Saturday, June 9.